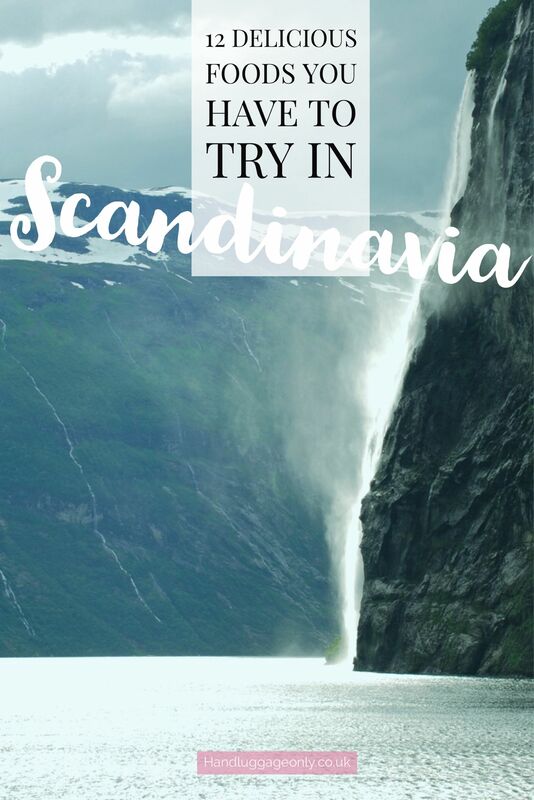 Scandinavian food is delicious but also it’s an incredible region of Europe to visit! 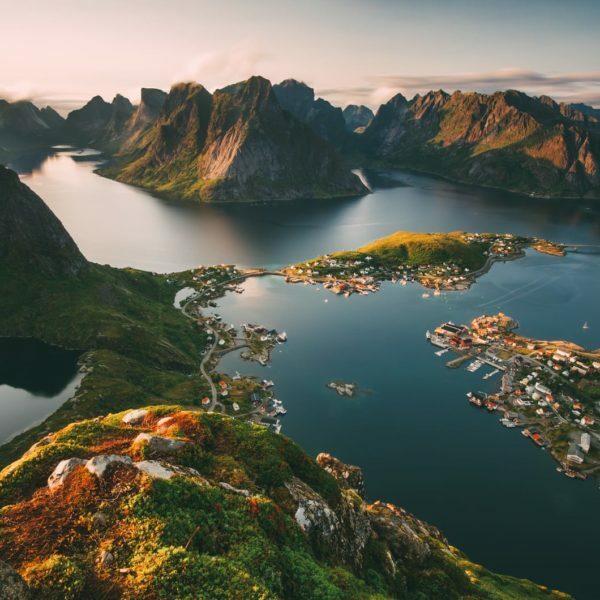 It doesn’t matter if you’re visiting Norway, Sweden, Denmark or countries like the Faroe Islands, Iceland and Finland – there’s a whole heap of incredible things to see do, and of course, gobble down! 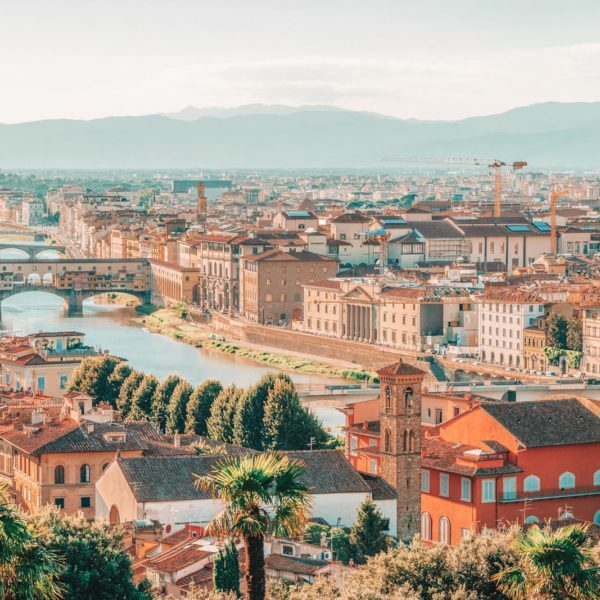 Of course, with everyone vying for the enviable rights to be Scandinavian, there’s a whole ‘thing’ about what countries can actually be Scandinavian. 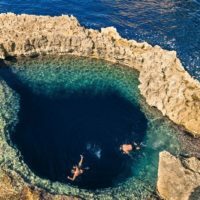 Well, I’ve always been brought up with the notion that ‘the more invited guests to the party, the more fun you’ll have’ – with that in mind, I’m including the incredible Faroe Islands, Iceland and Finland here. After all, it can’t be just the bigwigs of Sweden, Norway and Denmark that get all that foody glory, am I right? 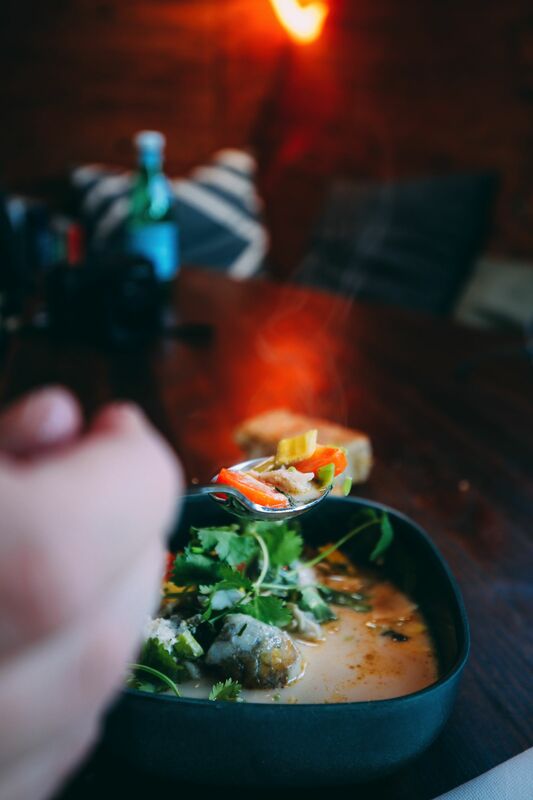 Although technically Finnish, we had the tastiest bowl of this while in the Norwegian Arctic Circle whilst sailing (and jumping in the freezing Arctic Sea). As you can imagine, this was such a warming treat, with chunks of salmon, potatoes and leeks all seasoned in with plenty of dill. 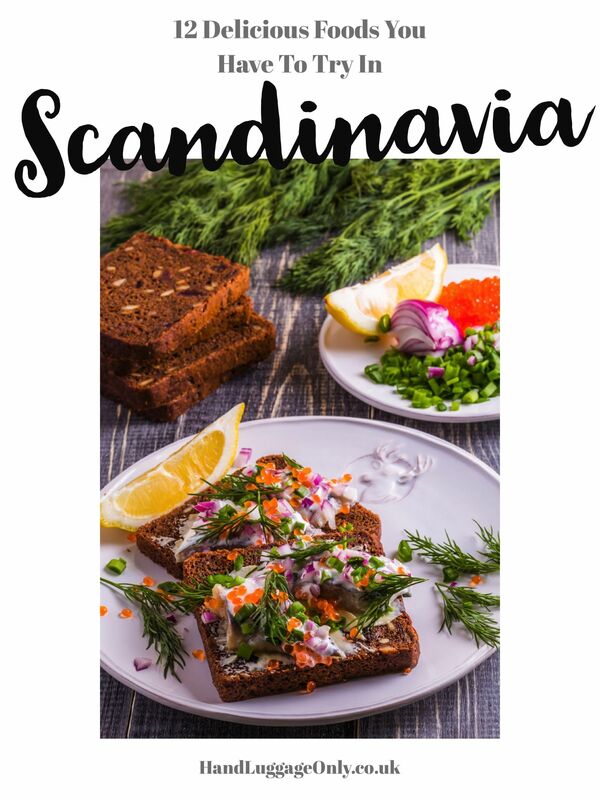 This has to be one of my favourite Swedish dishes and if you like a hearty sandwich, this is for you, too! 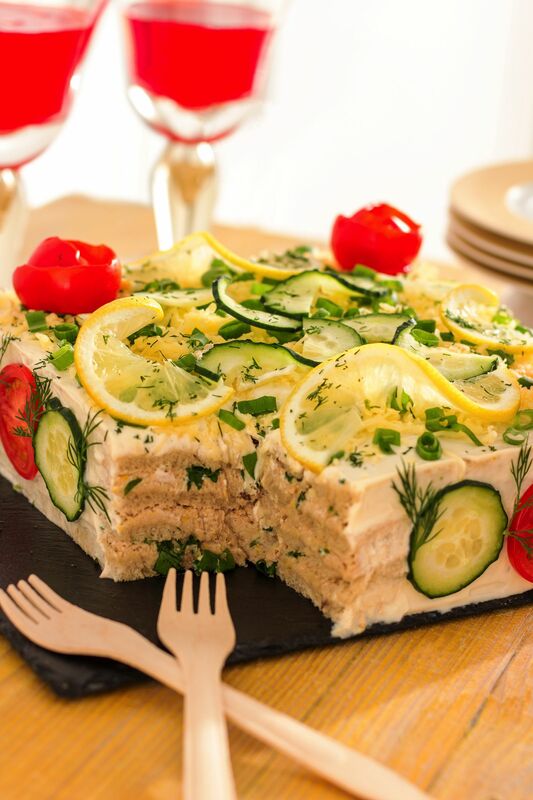 A Smörgåstårta is almost like a savoury cake. It’s built with layers and topping and decorated in a similar fashion – the only difference is that it’s not sweet! 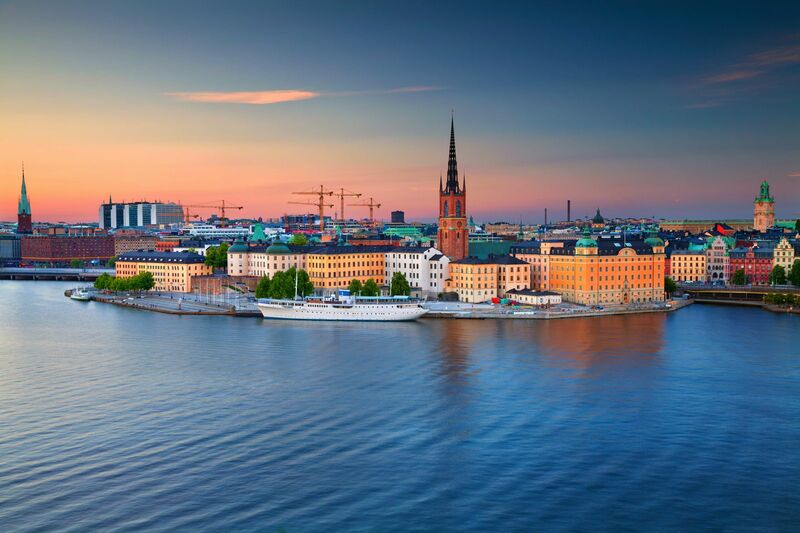 The Swedes even cut it like a cake! 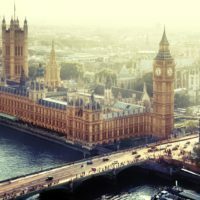 Kanelsnegls (totaly a Scandinavian food) seems to be everywhere right now and totally in vogue in the UK and USA. 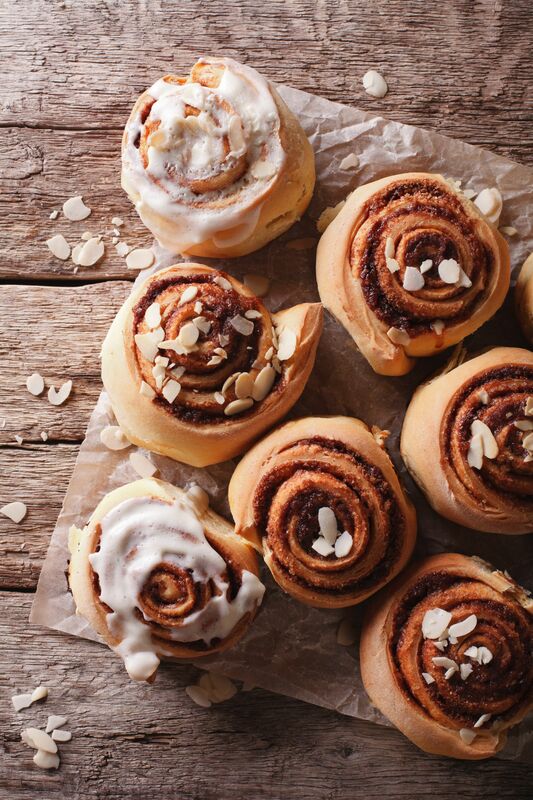 I think we’d most likely refer to them as cinnamon rolls but they’re more commonly known as Kanelsnegls in Scandinavia. Originally from Denmark or Sweden (we’ll let them hustle for that claim), this tasty cinnamon treat is amazing, especially when freshly baked. 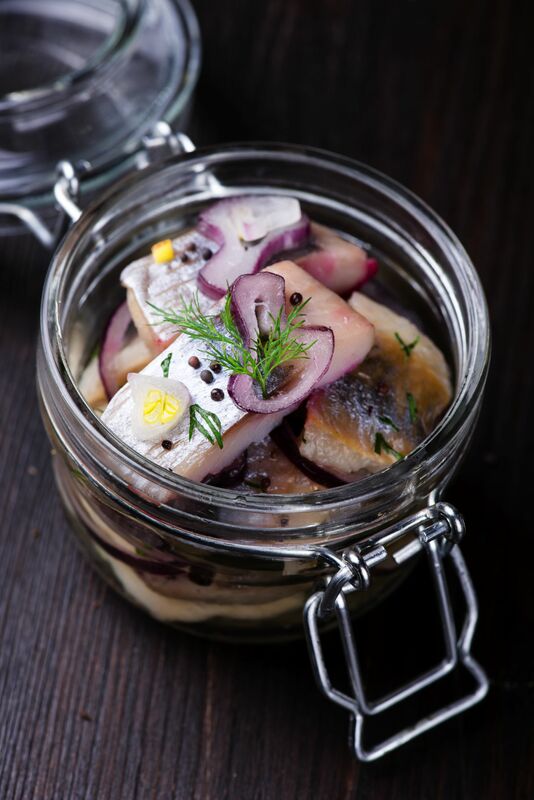 Surströmming is a typical Swedish food that roughly translates to picked herring or sour herring. Best served with freshly boiled potatoes, lots of chives and lashings of sour cream. The best thing about Surströmming is that you can actually pair it with lots of flavours too, like garlic, dill and even mustard for a little kick. Yep, it has to be done. 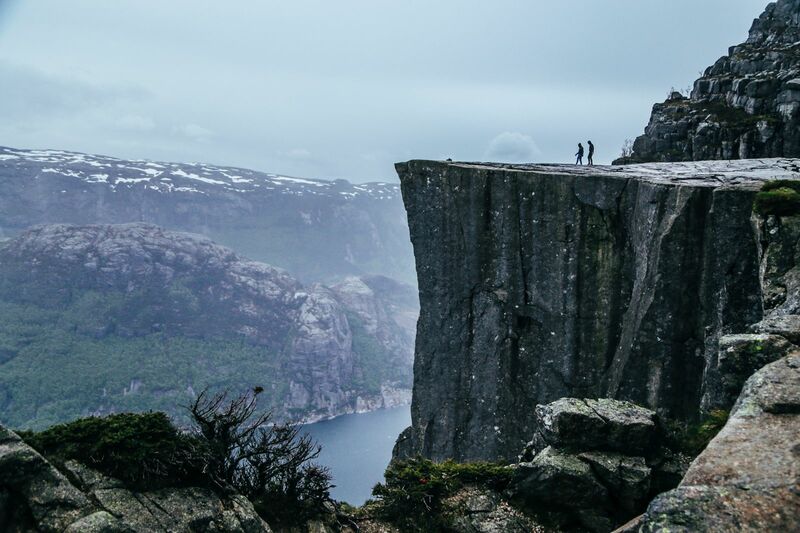 One of the best things that got me through our hike up to the top of Pulpit Rock in Norway was the masses of Kvikk Lunsj we had in our rucksack. I swear, these little chocolate fingers have been sent from the heavens and should be packed for every hiking trip! 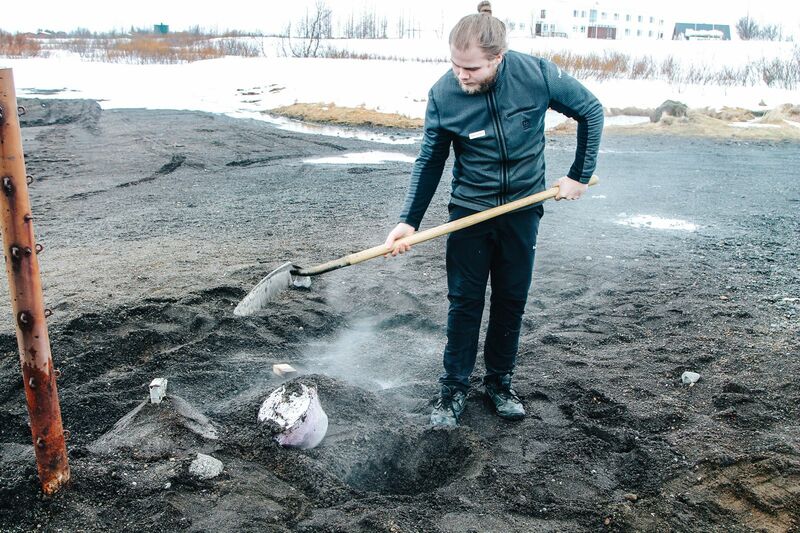 When you’re in Iceland, make sure to stop off at places like the Frost & Fire Hotel or Laugarvatn Fontana geothermal pools where they’ll actually cook Rúgbrauð from the geothermal activity in the ground. It’s a simple as digging a hole, placing a pan on the heated earth and waiting for it to bake. Nothing tastes as good as freshly baked bread and this is no exception. Partner it with lashings of butter and you’re onto a winner! I’m always unsure of which to use as they seem to be interchangeable but in English, we’d call them hot dogs! 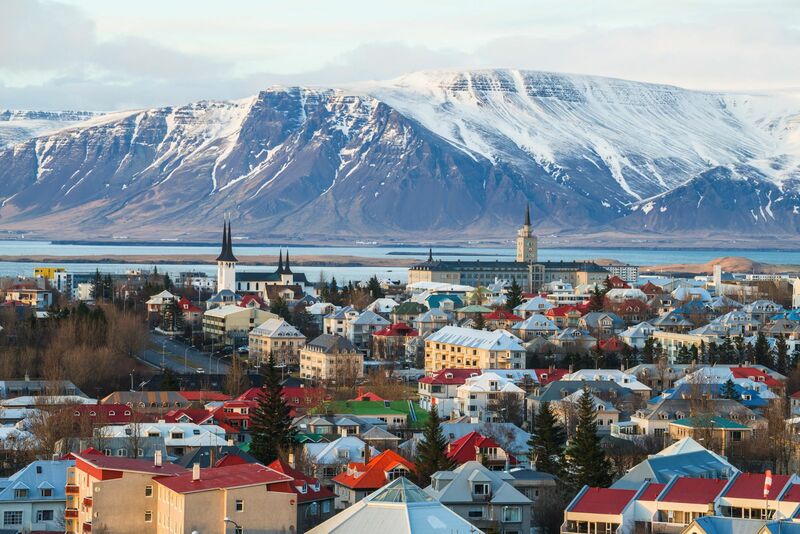 One of the things that most surprised me was how hot dogs seemed to be a ‘thing’ in Iceland. Obviously, no one wants to feel left out so I gobbled my way through a bucket load during our last visit. 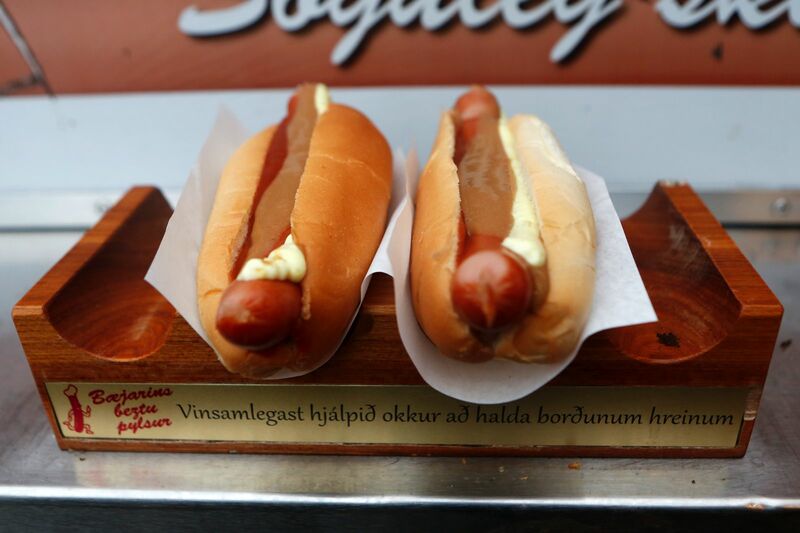 Make sure to grab a toasty hot dog from Bæjarins Beztu Pylsur hot dog stand in Reykjavik – you won’t be disappointed! 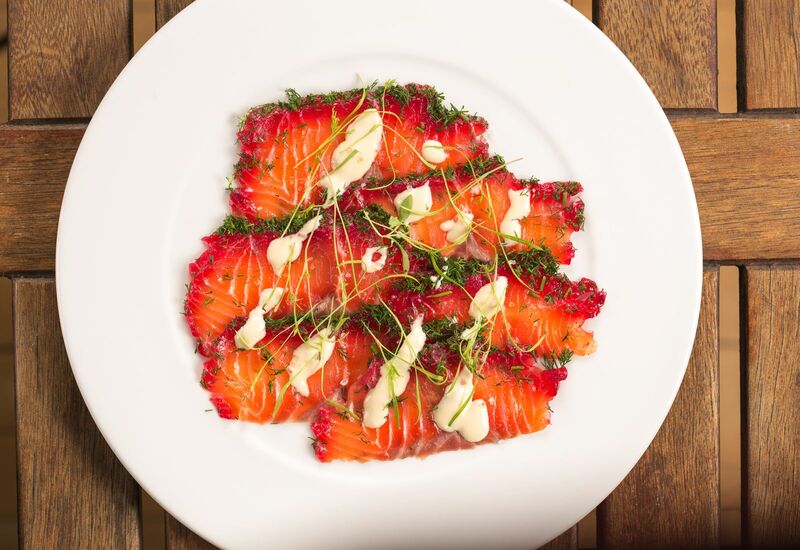 Simply put, Gravlax is thinly sliced salmon which is often given as a little appetizer or ‘fil-me-up’. 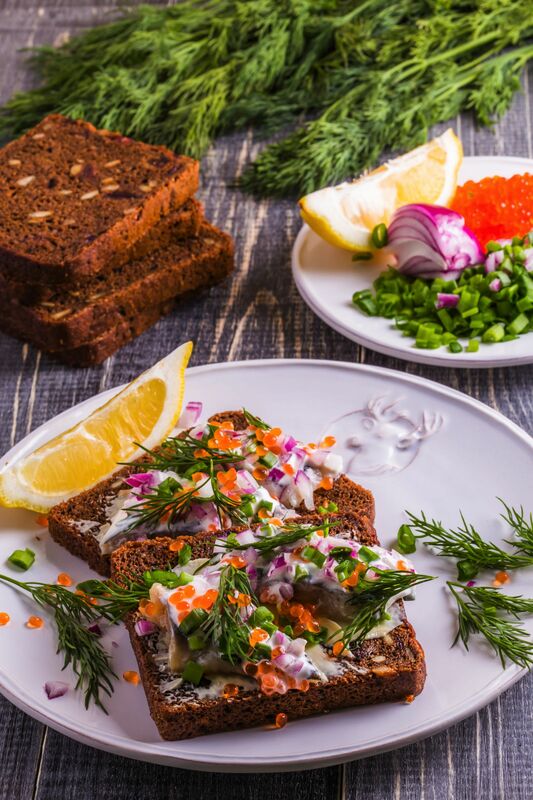 Sprinkled with a little salt and sugar, it might also be partnered with potatoes or rye bread (and lashings of dill or mustard). A Totally tasty Scandinavian food. Just don’t blame me for how much you love these. I swear, they’re addictive. Why is Scandinavian food soooooo good?!? 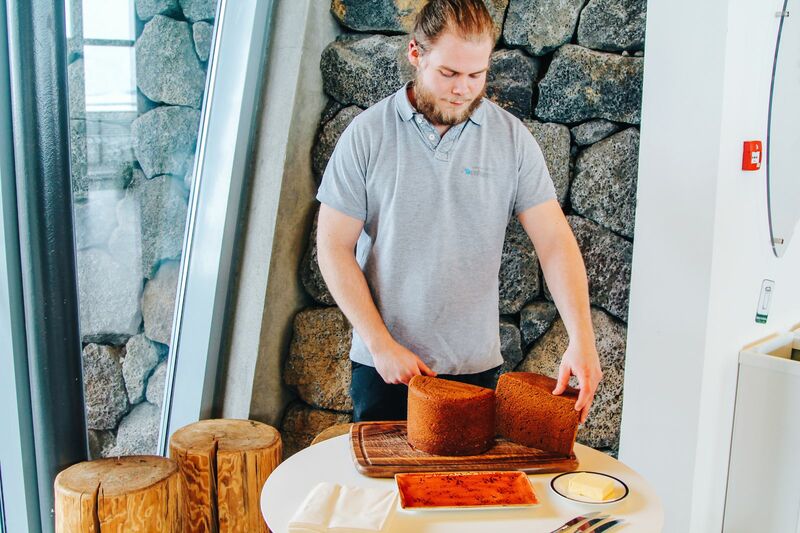 When we visited the Faroe Islands, we headed straight over to Barbara’s in Tórshavn – the tiny capital city of the Faroe Islands. Inside this stone and wooden cottage with a sod roof, Is most delicious sea food I’ve ever tasted! Make sure to try some Ræstkjøt (which you can see drying on the walls outside). We had fish Ræstkjøt mixed with a tasty broth. 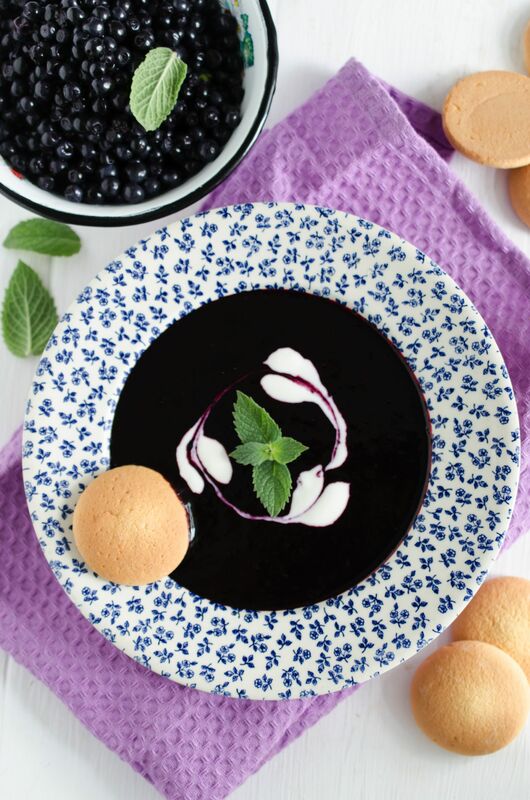 This Bilberry soup is actually a different berry from Blueberry (from the USA). You can choose to have this hot or cold and even partner it up with things like porridge or just drink it if you wish. Whatever takes your fancy! 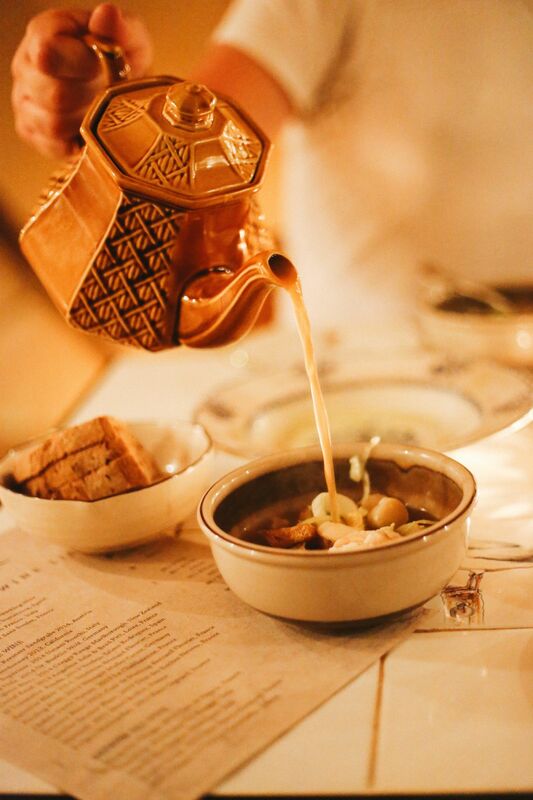 A totally lovely Scandinavian food, or dessert… whatever you want to think of it as. 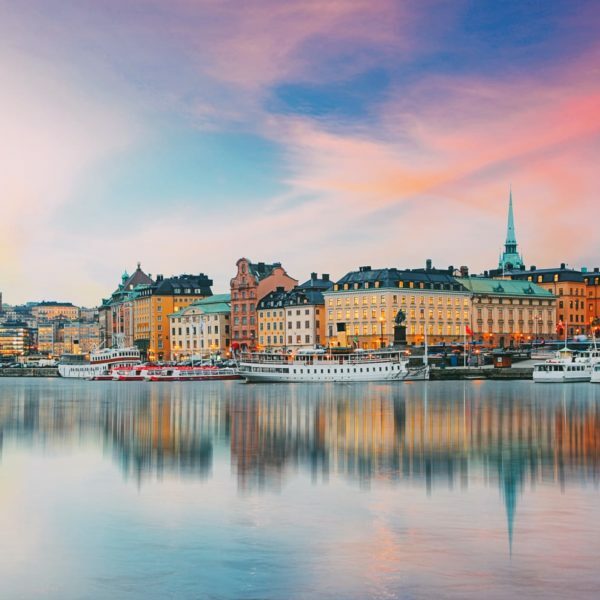 Is there any Scandinavian food that’s more popular than meatballs? Anyone that’s ever been to Ikea has been coerced into ordering buckets of these delicious meatballs. 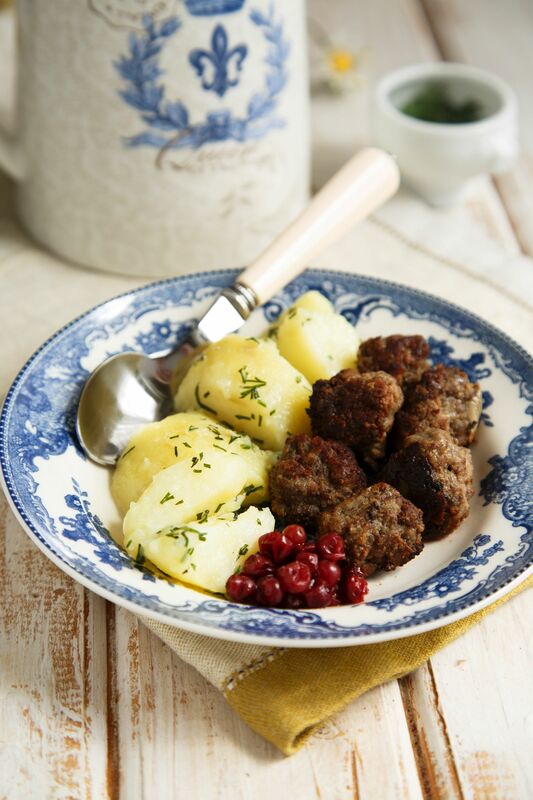 Mixed with a creamy sauce and partnered with freshly boiled potatoes, köttbullar is a heartwarming meal that is delicious when paired cowberry sauce.